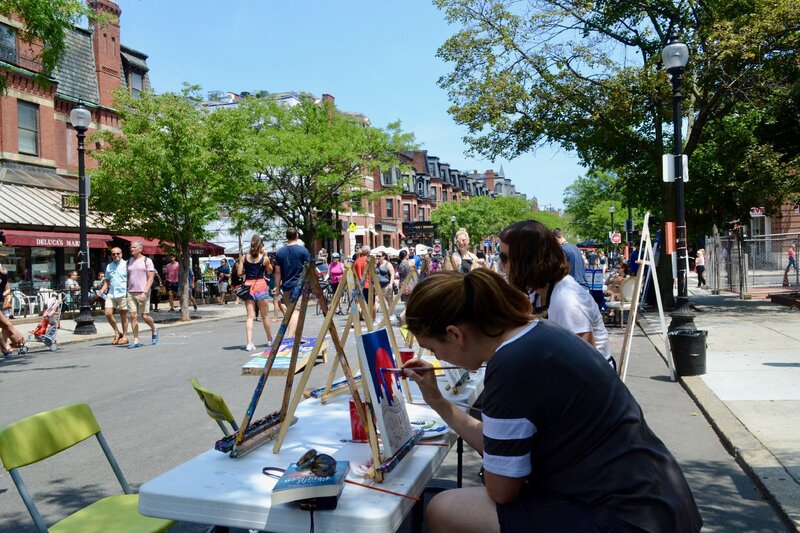 Newbury Street is gearing up for another car-free day, this Sunday, July 8th. 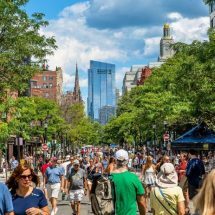 To celebrate, we’ve designed an Open Newbury Event Map to guide you through some of the unique happenings along all of the eight blocks. 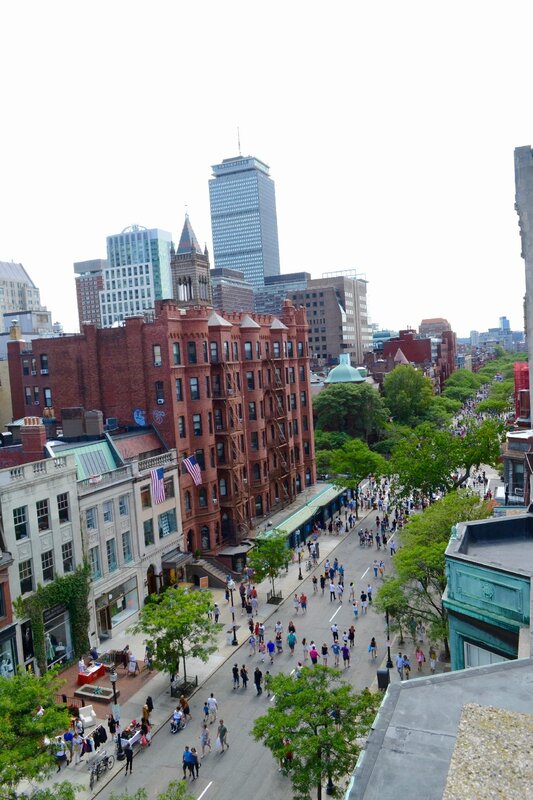 In case you missed out on the fun last years Open Newbury, check out the photo recap from the event! 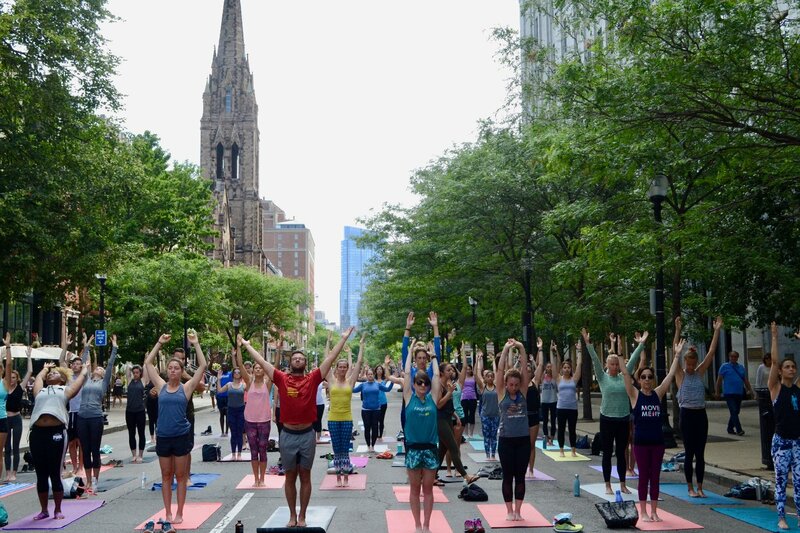 Many kick started their morning with this 10am yoga class right down the middle of Newbury Street! Located outside of the Athleta store at 88 Newbury Street. Bummed you missed it? Don’t worry Athleta is hosting a FREE outdoor HIT class this Sunday for Open Newbury from 10-11am get there early and grab a good spot. 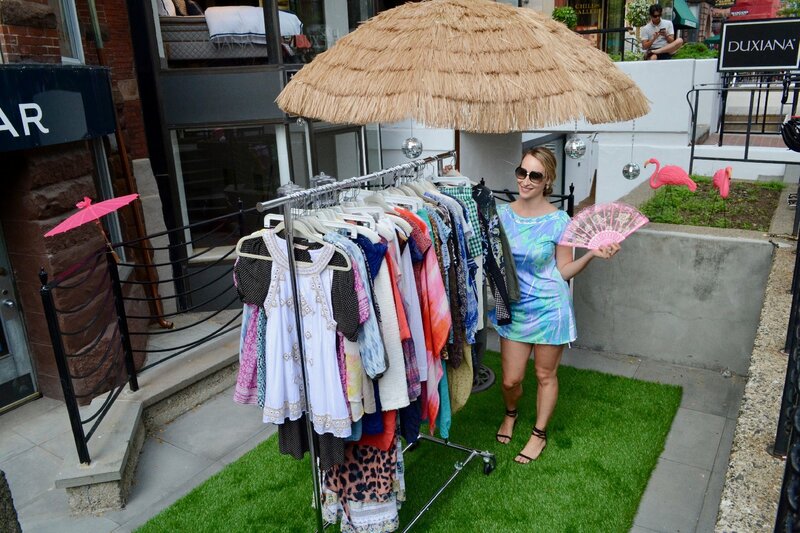 Castanet brought some cool tropical vibes to the Street with their sidewalk sale, located outside of 175 Newbury Street. Swing by this Sunday for a sidewalk sale, 25-50% off your favorite designer and some cool refreshments. 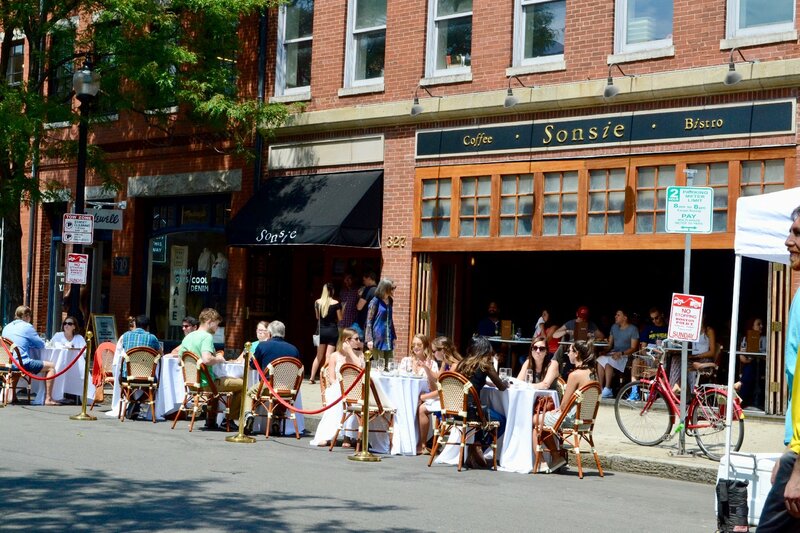 Who doesn’t love eating lunch on Newbury Street? Well on Sunday you can eat lunch in the MIDDLE of Newbury Street! Check out the full list the Participating Restaurants! The Paint Bar added a splash of color to the day with some out outdoor painting! Visit them this Sunday to get in on the action outside their store at 248 Newbury Street!